Are you building a new home? Valley Insulation LLC is happy to provide you with wall insulation, attic insulation, and crawl space insulation. For your convenience, we offer both our Nu-Wool Wallseal, a blow-in insulation made of cellulose, and fiberglass insulation. Our experienced team will be happy to discuss your home insulation project, and offer some advice on which type of insulation may be best for your project. When you’re looking at a bare-bones home, it can be hard to tell where it is that you will need insulation. The FTC actually has specifications and standards for how insulation should be installed to meet their code requirements. While many people enjoy taking on new DIY projects, it is smart to seek the help of an experienced team of insulation contractors to ensure that you insulate and protect your home in the best way possible. After all, insulation provides more than just a thermal barrier between the outside and your home. Many insulations, such as the Nu-Wool cellulose we offer, provide fire retardant properties, and are treated to prevent inhabitation from pests and mold spores. Read below for more information on the Nu-Wool Wallseal System as well as fiberglass insulation for new construction. This environmentally friendly cellulose insulation, made from recycled paper, is easily installed in attics and walls. Nu-Wool offers a high R-value, giving it superior thermal and air-infiltration properties. It is treated, too, which gives it mold and pest resistant properties. 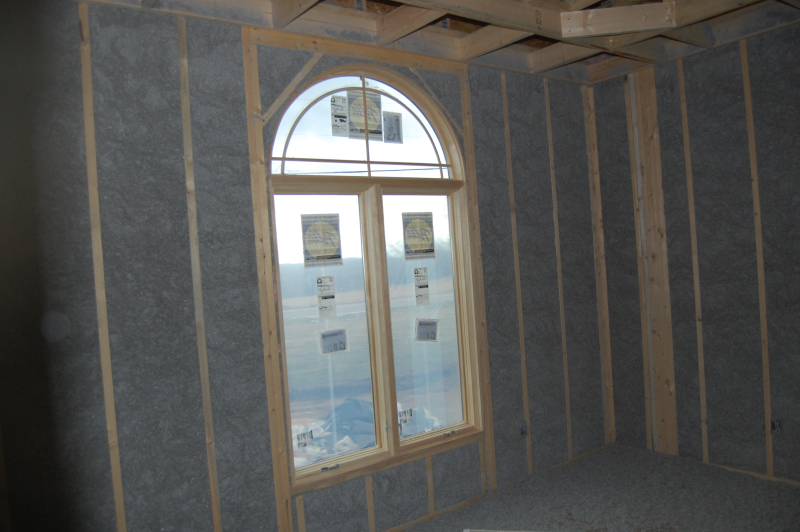 Because it is composed of many small particles that pack densely together, this cellulose insulation offers great sound dampening. Some statistics show that homeowners who choose this system can expect up to 40% savings on their heating and cooling costs compared to fiberglass insulation, but savings vary and should be considered alongside many other factors when selecting the right insulation for your spaces. 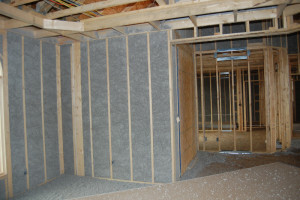 Fiberglass insulation is also well-suited for new construction. While blow-in insulation is easily installed in spaces like an attic where we’d otherwise be balancing on joists to install fiberglass batts, this insulation can be easily cut and fitted into new walls. Batts can be made to fit between the studs of your new house from ceiling to floor. Watching a new building come together is exciting, and we would love to be part of the process for your new construction. We offer free estimates for projects in the Cincinnati, OH area, so give us a call today or fill out the form on this page to get started. We look forward to bringing our insulation expertise to your new space!